The fourth quarter financial results for Ferrari have been announced, the first results as a public company following its October initial share sale. These results were part of the overall Fiat Chrysler announcement. 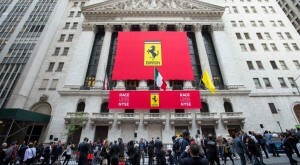 Ferrari NV reported a one-third drop in net profit in the fourth quarter. Net profit fell 34% to €55 million in the three months ended Dec. 31, compared with €84 million in the year earlier period. Sales rose 3.1% to €685 million. Adjusted operating profit, which strips out one-time items, fell 5.2% to €109 million. But all this was annotated with a note which suggested that these results were heavily affected by the separation from Fiat Chrysler and that Ferrari would issue its own set of accounts in February. In other words, we will have to wait to see the ‘proper’ results for Ferrari.